If mommy is having trouble sleeping, it could be because of a toothache. And if mommy’s got a toothache, she’ll go to the dentist. And when she goes to the dentist, he’ll tell her she needs a root canal. So she’ll go to another dentist, and he’ll start to do the root canal and discover her canal system is screwy. When he tells mommy her teeth are screwy and she needs to come back, she’ll burst into tears sobbing like a crazy lady. After she stops being a crazy lady, she’ll agree to sedation for the 2nd part of her root canal. She’ll take the sedation pills for her next appointment, and start to feel relaxed. And when she starts to feel relaxed, she’ll fall into a deep sleep. During the deep sleep, life is grand and doesn’t even realize the root canal is happening. Once the root canal is over, she’ll head back home and go back to sleep…for the entire day. Thanks to all who prayed for this second half of the root canal to go well! Our God is so good! And a big shout out to my dentist and his staff for the sedation suggestion — brilliant! 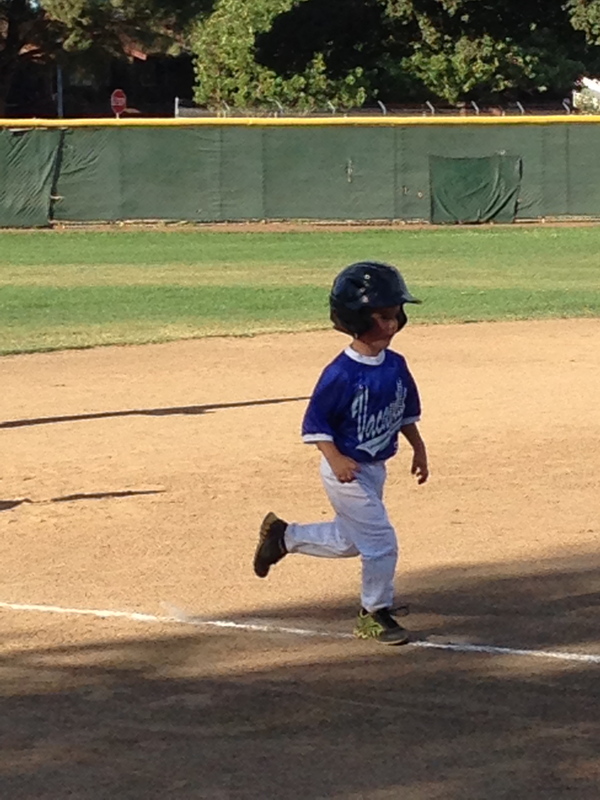 This year, Diego told decided to play t-ball. Completely his decision, though I was thrilled he’s taken an interest in my favorite sport. And, as he’s only 5, I figured the games would be once a week with maybe a little practice. Ha! We live in a time where it’s all or nothing! I was surprised to find out that we’d have 2 games a week plus a practice, all after 5pm. Uh..what? That seems…intense. 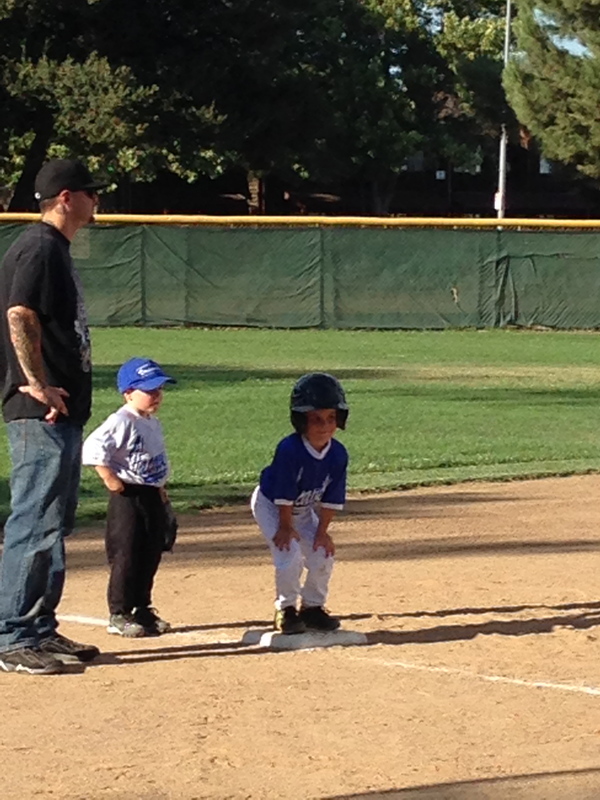 I mean, for older kids, sure, but can we not ease us parents…I mean, the younger kids…into baseball life? When do we have dinner? Not to mention the bedtime routine would get all screwed up. And the 100 degree days. Yes, I admit, I quite often did not have the best attitude. We’re not talking about how it’s taking up a little bit of our Saturday morning, we’re talking three stinkin’ nights a week! And so close to bedtime, which of course is the easiest time of day when all the kids are super cooperative. Not. There were many days I saw a mom or dad carrying an exhausted ball player from the car to the field, after falling asleep in the car ride over. Time to grow up kids, you’re ball players! 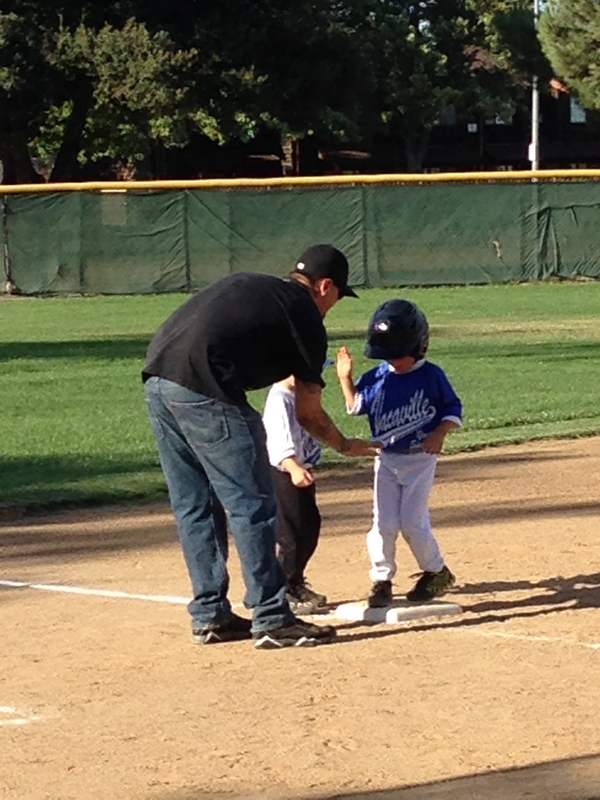 And yet, after all that, I’m a little sad that t-ball has ended (relieved, but sad.) Why? Because watching Diego play and watching him enjoy playing as much as he did made it all worthwhile. Listening to him describe his at bats or the plays he made with excited enthusiasm was absolute joy to this baseball loving mama. The days he had baseball became his favorite days. And I love dreaming about him playing for the Yankees…I mean, hearing him pretend to play for the Yankees. 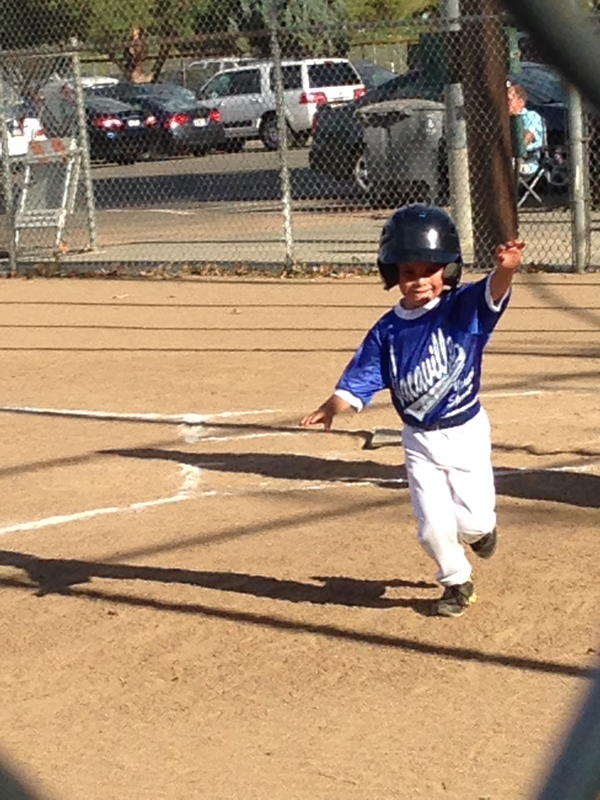 I dare you not to fall in love with this little ball player! 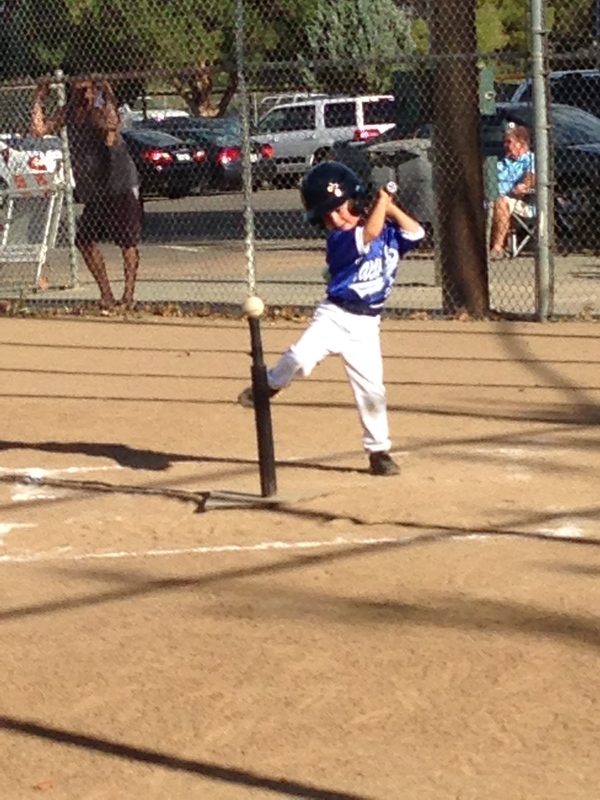 Apparently he’s paid attention to the MLB games we’ve watched, because other parents/grandparents commented on his batting style with his high leg kick. Every ball player should have a signature style! Get ready, here’s the high kick, very deliberate with each swing. 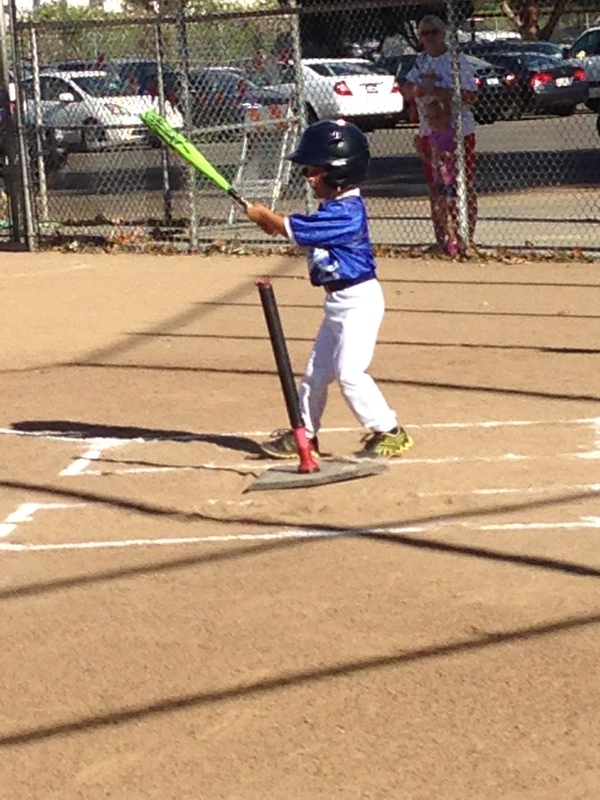 Everyone in t-ball bats twice and fields twice, 2 full innings. 2 long innings. And often times, 2 hilarious innings of watching kids play in the dirt, talk to each other, surround and chase after the ball, build sand castles, sit, slide (5 feet from home plate), and run to the wrong base. But not Diego, he knew where and when to run. 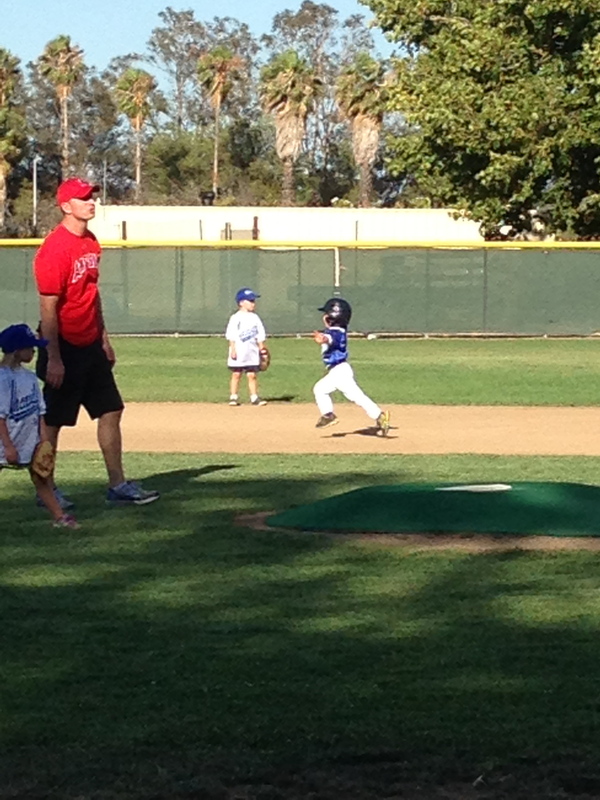 I absolutely love watching Diego run the bases. Phew, safe! 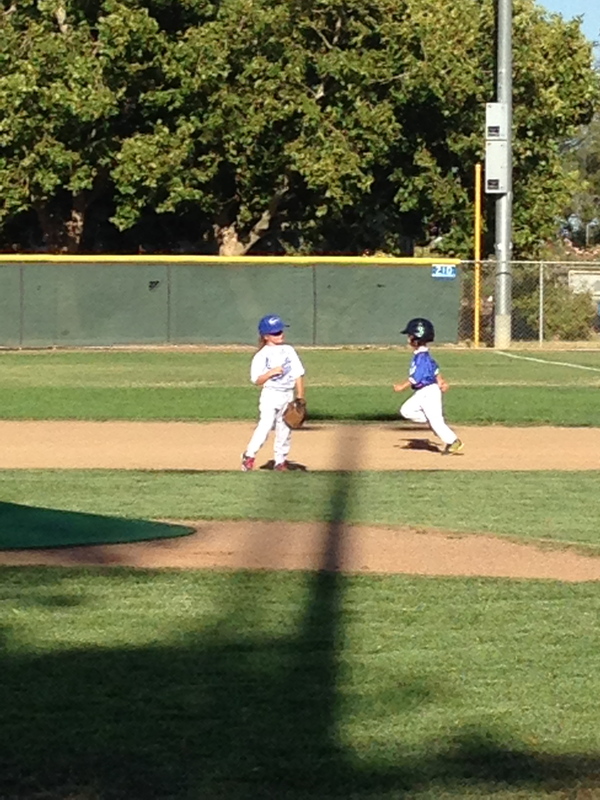 It’s also hilarious watching the kids run, or not run, leaving 2 of them occupying the exact same base at the same time. And then there’s Diego. Focused and serious — he had his game face on, no doubt about it. I mean, just check out how he’s staying alert and waiting for the batter to bring him home. IN-TENSE! And he brought that same intensity to fielding. He stayed in his position, worked hard, tried his best, and had a blast! 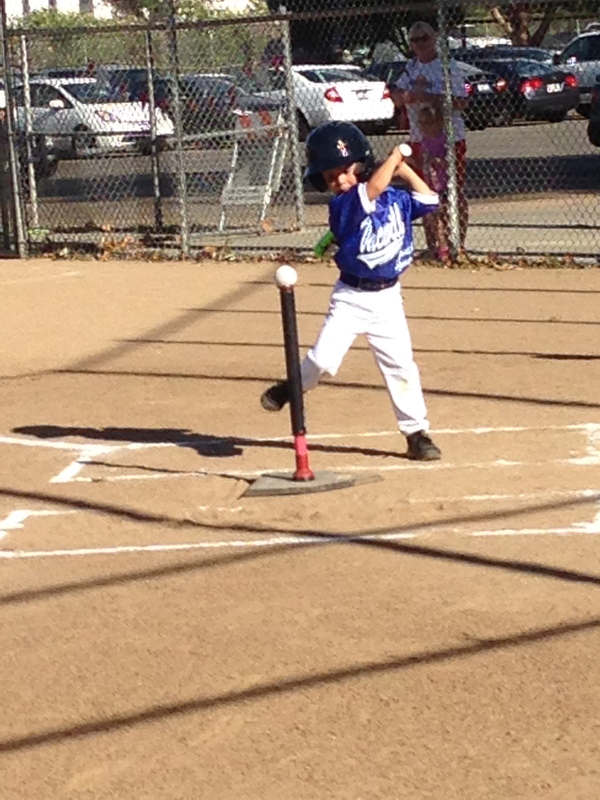 This kid’s batting average is through the roof! You can see the pride in his face. So, despite my sometimes terrible attitude about how annoying it was (and come on, sports parents, I think we all can relate to that), I can’t wait for next season. But though I’m thankful it’s 9 months away! As many of you know, I had a horrible toothache recently which meant I was getting a root canal. 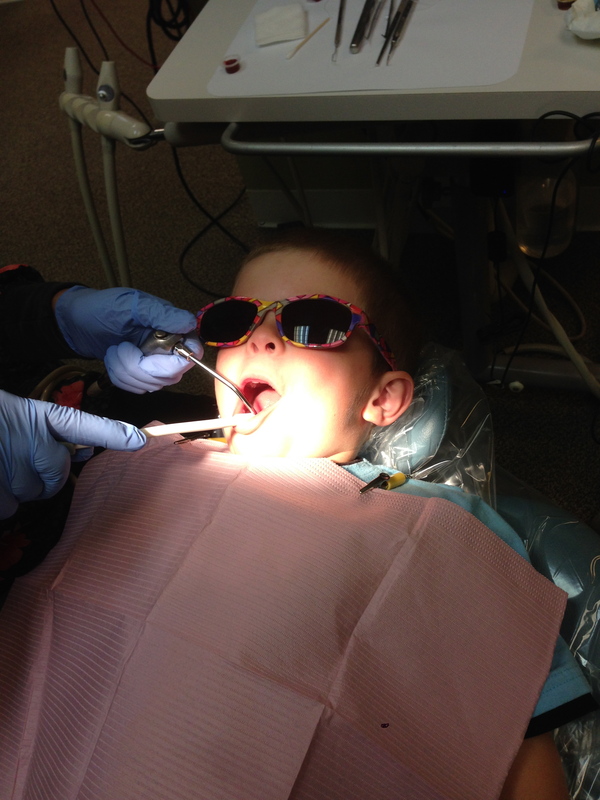 And for a self-professed baby when it comes to anything dental, I was quite calm about the whole thing. I just wanted to get it over and done with. Fix and move on. This calm I felt was a miracle, to be perfectly honest. I felt even better when I realized I’d met the wife of the dentist I was being referred to — I’d met her through a friend and had enjoyed group dinner with her. I was even more reassured that everything would be ok.
Everything was not ok. I mean, it will be eventually, but the appointment and the rest of the day for that matter, was not what I had expected or hoped for. I was scheduled for a long appointment in order to try to get it done in one shot. And after just a few minutes with the jaw-holder-upper-thingy (the technical term, of course,) my jaw was killing me. Good start. So, thanks to my TMJ, I had to just open wide myself and relax it when I could. This would be a fun two hours. And yes, halfway through I had to use the restroom — nothin’ like raising one’s hand like a first grader needing to go to the bathroom to boost one’s confidence in an intimidating situation. When the dentist finally finished and took everything out of my mouth, I expected him to say, “all done!” So, I was rather shocked to hear him tell me that it took him 2 hours to do what he normally can do in 5 minutes. Well, apparently, I’m special. My mouth and teeth are special. In fact, it’s amazing I have any teeth left in my mouth at the ripe old age of 33! (By the way, no one said any of this, it’s just my interpretation of their explanations.) Instead of an average root system of 3 ordinary and straight canals, I have 5…yes, FIVE that aren’t so ordinary or straight. They are special, including one which is going the wrong direction, so that even after they fix my tooth now, it may cause me problems later on–maybe not–but probably. And then they explained the options: yank it now or save a doomed tooth to be yanked later. Superb. But wait…it gets better. The madness wasn’t over just yet. While describing how crazy life has been this summer, (selling the house, hectic t-ball schedule, getting ready for an upcoming move, etc) at the front desk, I finally gained control over my emotions until I got a text from the sitter letting me know that my baby just threw up. I smiled, started laughing and sobbing hysterically at the same time. A mess. An absolutely mess. I couldn’t even tell them what was wrong, I showed them the text while sputtering, “baby…threw up…sitter…” It was at that point that S gently took my shoulders and guided me to a chair. Yes, I had sunk pretty low and couldn’t even be embarrassed anymore. If my mom had been there, I’m pretty sure I would have crawled into her lap and sucked my thumb. Boy, this was not the day I had expected. I wasn’t even home yet. I still hadn’t even left the dentist’s office. And S wasn’t sure I was going to be able to do make it on my own…understandably, I was acting like a basketcase, a nut, a lunatic! I thought everything would be fixed when I got up out of the chair but instead I was more messed up than when I entered their office if you include my complete mental breakdown. Where’s my white flag–I surrender! I did talk to the sitter’s mom who reassured me that she and my sweet sitter had cleaned things up and that Justus was playing happily with his brothers, and everything was under control. Glad things were under control there because I felt like I had completely lost control of everything! Feeling slightly relieved that the situation with the boys was under control, I managed to regain enough of my composure to drive myself home and finish the rest of my day…such as it was. I can handle many things, but when it comes to my teeth, I am the biggest baby, which is the only excuse I have for my behavior that day. I’m not proud of it, but I can laugh at it now…even knowing I’ll be back in that dental chair soon to finish up this sad tooth saga. This week has been one I’d rather not repeat. For those of you who have ever suffered a toothache, you know what I’m talking about. 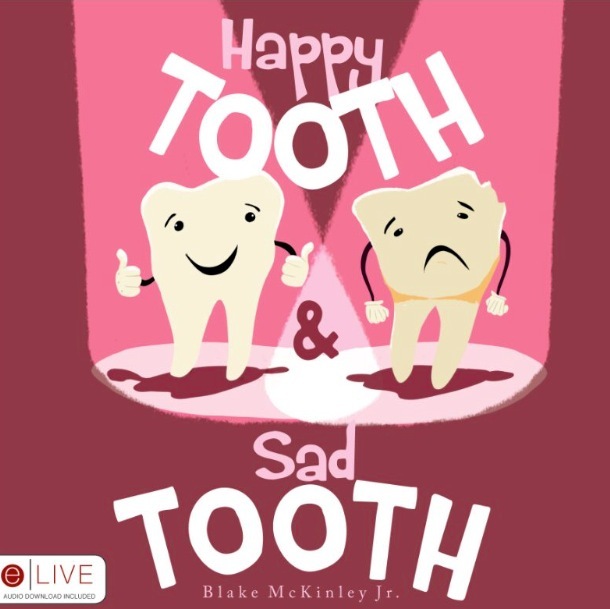 I’ve spent a good deal of time in the dentist’s chair over the years and as if that wasn’t enough of a reminder about how I want to instill good dental habits in my boys, this toothache, subsequent draining, and future root canal is most definitely confirming its importance. It was a completely miserable few days of icing my face and trying to survive (while barely eating or drinking). I’m doing better now (PRAISE. THE. LORD.) and am trying to psych myself up for the upcoming root canal. 1. When you’re not able to eat or drink, you don’t have energy. When you don’t have energy, your patience is very limited…and you’re cranky. And it’s nearly impossible to focus and accomplish anything. And you’re cranky. 2. Little boys don’t understand that you don’t have energy, they always have energy. 3. A wonderful hubby is key to surviving absolutely debilitating tooth pain and little boys. 5. The importance of finding a dentist you like and trust. 6. 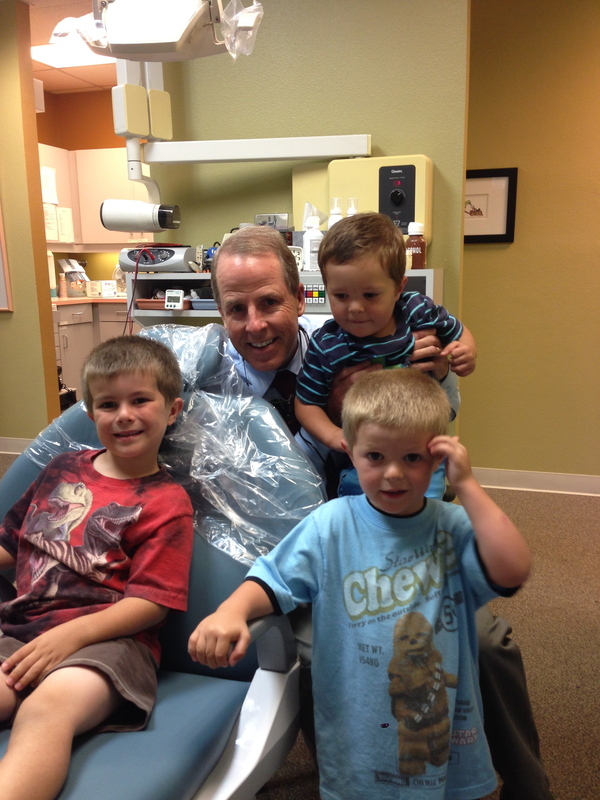 The importance of finding a dentist your kids like and trust in order to make dentist check ups more enjoyable, and much easier. And on that note, the boys recently had their 6 month check up. Three up, three down. The boys have been going to the dentist ever since they had teeth, even if it’s just to sit in the chair and look around, and now the boys love going. 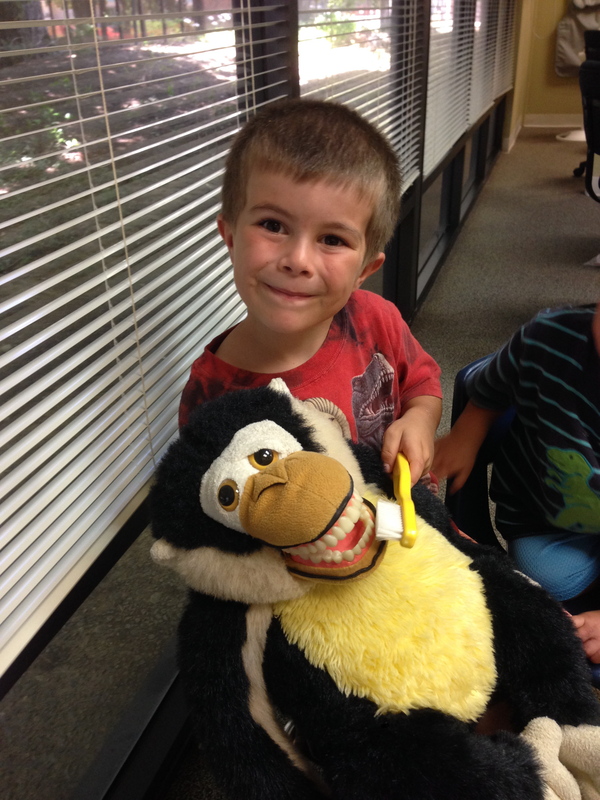 “Those are nice people that clean our teeth!” Diego said excitedly as we pulled into the parking lot. 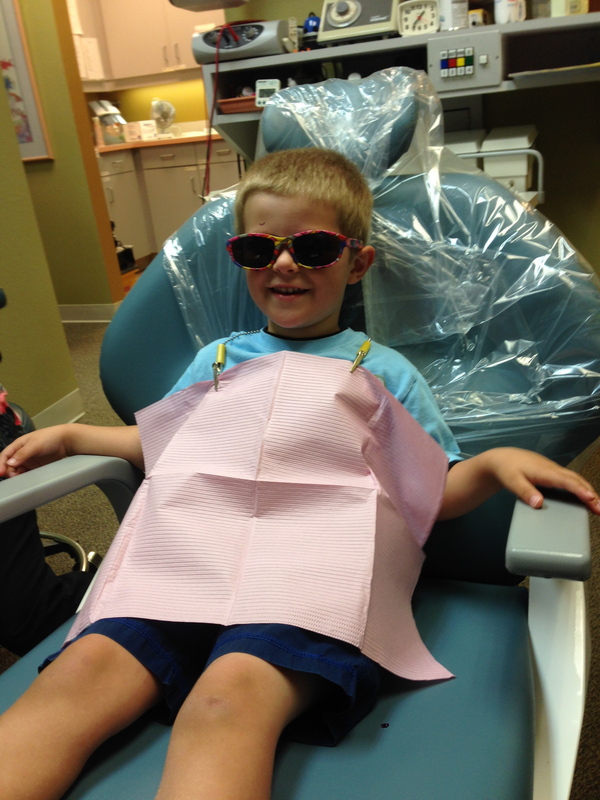 Justus has gone to this dentist since he was an infant, accompanying me for my many visits. And I’m very thankful for the receptionist who dropped everything in order to hold him and rock him and walk with him so I could get my teeth fixed, though I don’t think it was much of a sacrifice on her part. 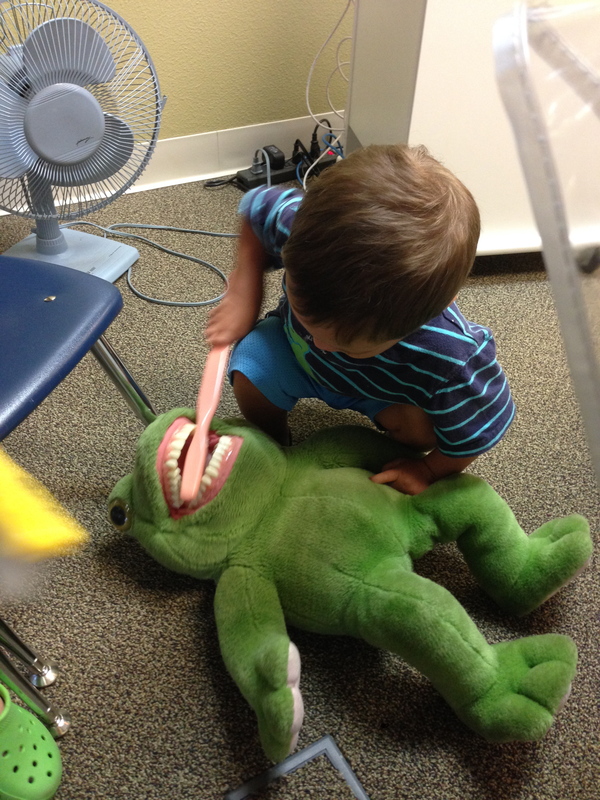 One of the many perks of a visiting the dentist is Ibrushing the monkey and frog’s teeth. Wearing some pretty snazzy accessories never hurt either. One of the worst things about being in the military is having to find a new dentist every time we move…made even worse when you’ve found one you really like and trust (though who selfishly is unwilling to uproot his entire life and practice and move with you…yes, I asked!) Be picky about your dentist–make sure your kids like him/her, make sure you like him/her, make sure he/she likes your kids– and get your kids to the dentist for frequent checkups! This pretty much sums up how I feel about my house. While there are no orange splots and crazy painted explosions, I did choose colors (for the inside), and colorful flowers for the outside, and I absolutely understand and relate to Mr. Plumbean. I love being at home in my house, and it looks like my dreams. But now, it’s time to think about creating new dreams. We put our house on the market, and I’ll admit I’m sad. We live on a Mayberry-type street. Our neighbors are wonderful, always there when we need them to fix a bike chain, borrow a cup of sugar, and hang out with while watching our kids play together. I think I’m in denial that we have to leave them. It’s going to be hard to leave a place I’ve grown to love, neighbors and friends that I cherish, and a house that is such a comfortable home for us. 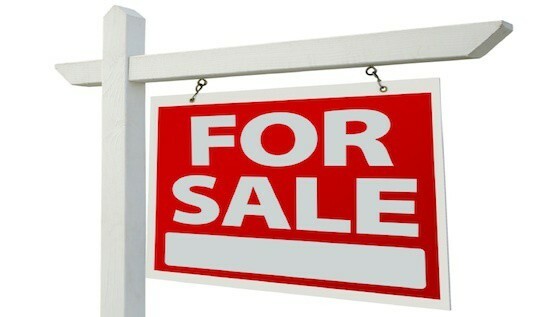 For those of you who have sold a house while maintaining a normal schedule with children and life, my hat’s off to you. It is not for the faint of heart! My summer has been full of decluttering, preparing, cleaning, and “staging” my house while remembering that 3 adorable little boys continue to live in it. They seem to be doing just fine with everything, however I am sort of a basket case! I’ve been drinking extra coffee and drinking in extra grace…so thankful for both! Through it all, I know my God has been with me, and I won’t lie, I’m pretty sure He’s held me up and wound me up like the energizer bunny at times in order to get things done because I have been going NONSTOP and I have no idea how it’s all come together! And I’m very thankful for His strength. I’m also very thankful for awesome neighbors who have offered up their home as a place of refuge during showings and who have offered to help when they can. Last week was a huge challenge for me: we put our house on the market, my husband worked very long hours, t-ball was in full swing, showings started, and we were quite possibly out of the house more often than we were in the house! And for a homebody, that is not easy. My house became something like a museum for others to enjoy rather than our comfortable home. So to those of you who have been praying for me, let me say a big fat THANK YOU! One day, hopefully very soon, things will settle down (before they get crazy again with the actual move) and my mind will stop spinning. Until then, I’m thankful for His faithfulness and that He never lets go of me.